There are nearly 5,200 parking spaces available to the public at Honolulu International Airport (HNL). During holiday weekends, typically the Interisland Parking Structure (Lot M) and the Overseas Parking Structure (Lot D) will fill up first. 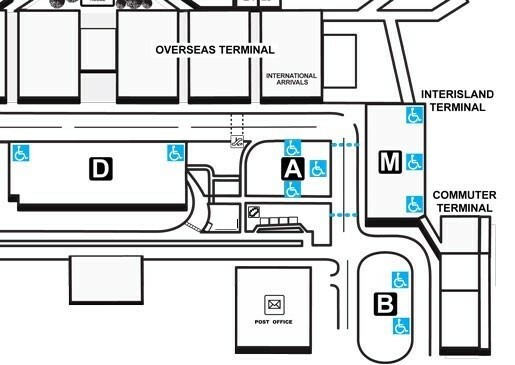 Travelers also have the option to park in the International Parking Structure (Lot A) and the Economy Parking (Lot B). Travelers are advised to allow for additional walking time to the ticket lobbies, as some lots are further from the main terminal than others. For more information on each lot, please visit http://hawaii.gov/hnl/airport-parking. Drivers are encouraged to write down the lot you are parked in and the level and location of your vehicle or use your phone to photograph your vehicle location to use as reference upon your return. Drivers should place the parking ticket stub in a safe place that is not visible from the outside of the vehicle. Do not leave it on the dashboard of your car. For helpful tips to make holiday travel smoother please visit the Transportation Security Administration site by clicking here.